We specialise in bathroom makeovers and renovations, ceramic tiling, heating & plumbing works, electrical, carpentry and plastering and we are highly recommended by the leading retail bathroom suppliers. Bray Tiling is a long established family business serving the Greater Dublin area and has been run by the Pearse family since 1980 and is currently managed by Sean and Stephen Pearse. 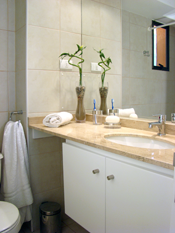 We specialise in all aspects of stylish and cost effective bathroom makeovers and offer a complete bathroom makeover & renovation service from concept to completion, including layout, design, plumbing and installation. Tax relief will be offered in the form of a tax credit of 13.5% of all qualifying expenditure in relation to repair, renovation and improvement work. We provide all aspects of general plumbing & heating offering a range of services, whether repairs, maintenance or installation to customers in the Dublin area.